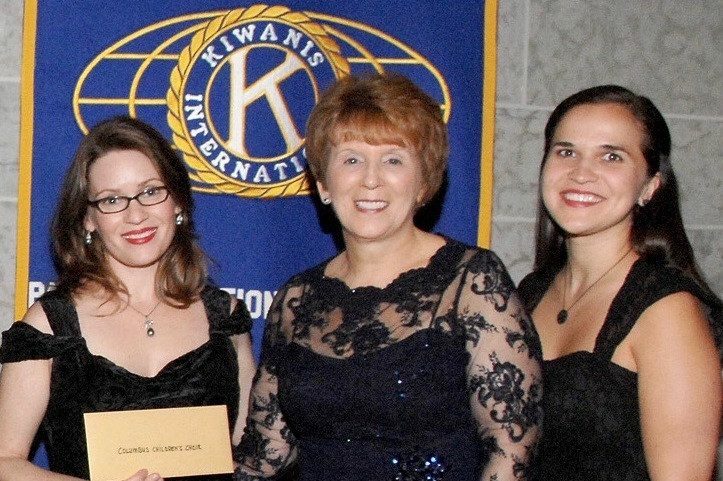 In celebration of its centennial, Kiwanis Club of Columbus donated an additional $100,000 of funding to local nonprofits. Columbus Children’s Choir was one of only four organizations to receive a Centennial Grant. “We are over the moon,” gushed managing director Dr. Kerry Haberkern. The grant will be used to realize a long-standing dream of hosting summer camps for kids. Along with Columbus Children’s Choir’s emphasis on choral music, the summer camps will include drumming, music, theory, and conclude with a performance on the main stage at the Columbus Arts Festival. “Summer is a time to try new things and get out of your comfort zone. We know that parents want their kids to have amazing experiences and make memories that last a lifetime and that’s what we’re going to do,” said artistic director Jeanne Wohlgamuth. Right after learning about the award, Columbus Children’s Choir received a humbling invitation to sing with the Vienna Boys Choir in 2017. “I don’t know how we’re going to do it all, but I guess too many prestigious awards and invitations is a pretty good problem to have!” said Haberkern.